ALTEZ is located at 16 ENGGOR STREET in district 02 (Shenton Way, Tanjong Pagar) of Singapore. ALTEZ is a 99-year Leasehold Condo development consisting of 280 units. ALTEZ is completed / TOP in 2014 (estimated), developed by BISHAN PROPERTIES PTE LTD.
Educational institutions like JEWELLERY DESIGN & MANAGEMENT INTERNATIONAL SCHOOL, INSPIRATION DESIGN INTERNATIONAL SCHOOL, CHATSWORTH INTERNATIONAL SCHOOL (ORCHARD), CANTONMENT PRIMARY SCHOOL, CHIJ (KELLOCK) and RADIN MAS PRIMARY SCHOOL are near to ALTEZ. Used to be great, but getting run down. Spotted rats in the corridor and cockroaches recently. Management would not bother responding to my complaints. Facilities starting to get run down. Location still great, but not good value for the amount landlord is charging! 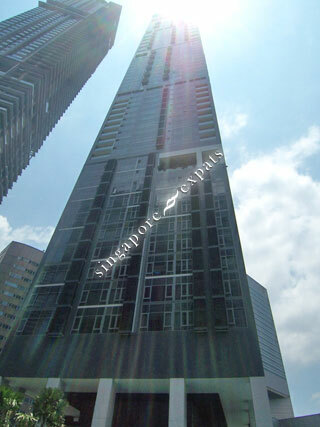 Amazing high-end building, great amenities and very convenient location! Great location for finance professionals working in the CBD. Quiet with great facilities and nearby popular eateries. Convenience location. Mins to MRT. NTUC & cold Storage at door steo. Eateries just across the street. Living in CBD area. Prestiges living.